I used my trusty SNAP Machine along with Teresa Collins 2 pack A6 Embossing Folders, Beautiful Words and Stars and Twill Herringbone to emboss plain white cardstock. 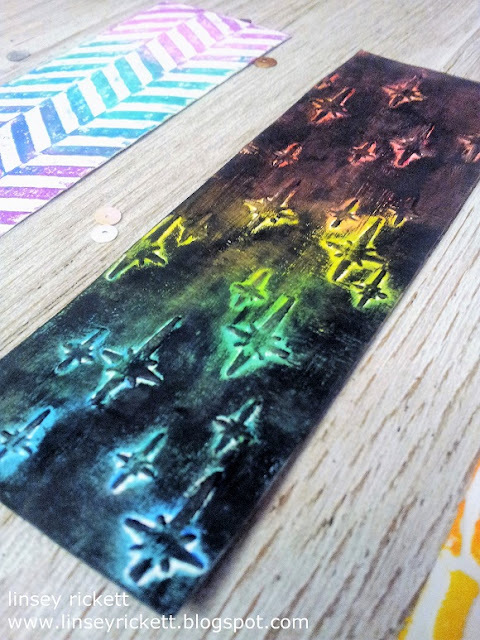 Next, I put down a layer of clear gesso on each bookmark and let dry completely. Finally, the fun part....coloring them up! 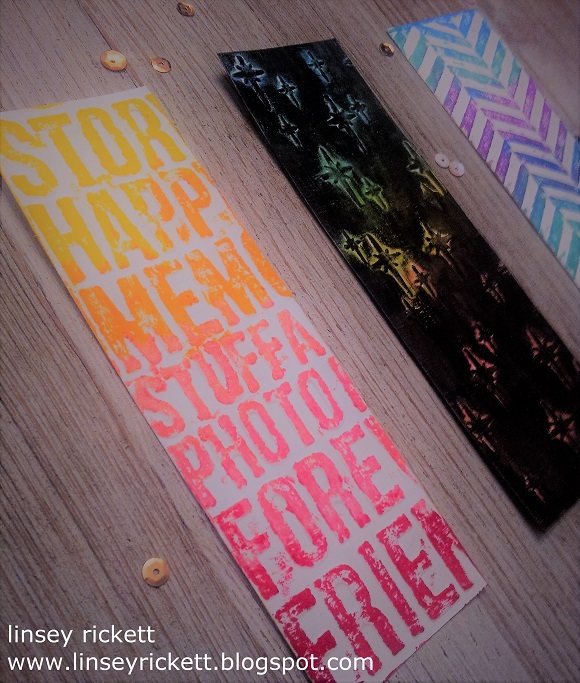 I tried something a bit different and used some Faber-Castell Design Memory Craft Gelatos to add color to each bookmark. There are lots of other color mediums you can choose to use--try inks, sprays, paints--your imagination is the limit! You can finish with painting a layer of Mod Podge or other protective sealant over the colored bookmarks to ensure no color smearing and a longer life span. 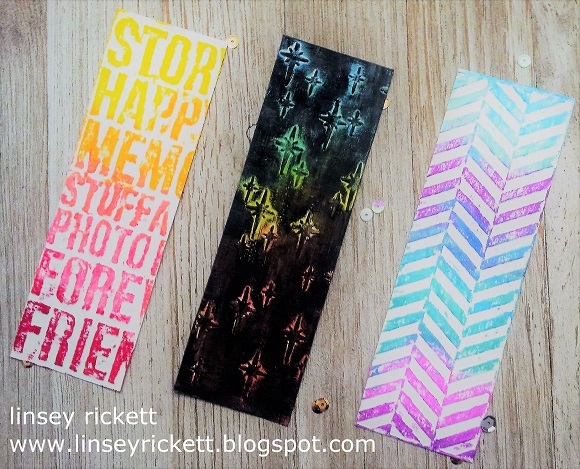 These bookmarks add a pop of color and an element of fun to your daily life. I sure hope you've been inspired to create something pretty today! Thanks so much for stopping by an letting me share my project with you! Until next time, happy crafting!